Journalist Nafeez Ahmed published an interview with former police-chief Ahmet Sait Yayla. Uncritically reporting Yayla’s claims, Ahmed’s article suggests that the Turkish government is involved in support for DAESH. Introducing Yayla as a ‘whistleblower,’ Ahmed relays Yayla’s claims that he has personally witnessed incidents which appeared to point towards Turkish government support for DAESH. Yayla furthermore claims that it was this alleged support which compelled him to resign from his position within the police force. Yayla went to the US in 2015 but did not return, citing medical issues.1 However, it has been claimed that Yayla did not return to Turkey as he suspected that he would be expelled from his profession due to his relationship with the Fethullah Terror Organisation (FETO), the organisation which the Turkish government holds responsible for the coup attempt in July. Foremost among Yayla’s claims is that the Turkish government was sending munitions to DAESH as part of a wider campaign of support for terrorist organisations. 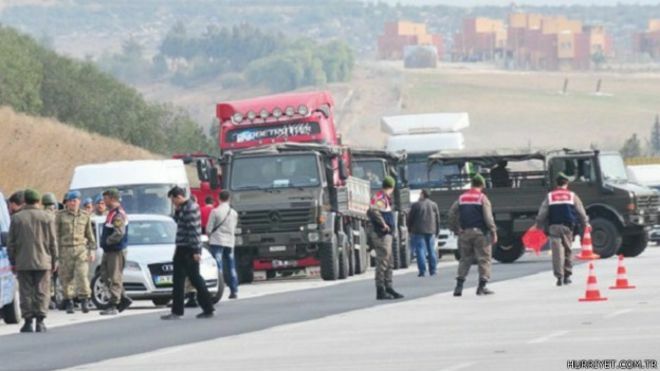 It subsequently transpired that that military officers aligned with FETO stopped a convoy of trucks destined for Syria, photographed the contents and provided them to opposition media with the intention of causing difficulty for the Turkish government.2 Brigadier General Hamza Celepoglu has been sentenced to time in prison for his role in this conspiracy. The issue of alleged weapons transfers to Syria was one salvo in a larger struggle between FETO and the government. Ahmed quotes Yayla as stating that the head of MIT, Hakan Fidan, was a prime suspect in alleged Iranian-supported terror activities stretching back to the 1990s. Ahmed further writes that if Yayla’s claims were accurate “then the current head of Turkey’s powerful MIT under Erdogan is a member of the al-Qaeda affiliated Turkish Hizbullah, responsible for terrorist murders of leftwing dissidents in the 1990s.” The allegation that Fidan is in the service of a foreign state began to surface in FETO-aligned publications after the FETO-led attempt to topple Fidan in 2012 failed. In February 2012, as part of an ongoing investigation into organizations aligned to the outlawed Kurdistan Workers’ Party (PKK), public prosecutors believed to be aligned with FETO summoned Fidan. Using MIT’s efforts to bring the PKK’s armed campaign to an end as an excuse, it was claimed that members of MIT were involved in supporting the activities of organizations associated with the PKK.6 The summons was in breach of the relevant laws which stipulate that the head of the intelligence agency can only be questioned by judicial authorities with the permission of the Prime Minister. Therefore the public prosecutors chose a day on which then Prime Minister Recep Tayyip Erdogan was undergoing surgery. In addition to his original article, Ahmed published a follow-up on 28 November 2016 in which he repeated his previous claims. Ahmed argues that there is no evidence, other than the word of the Turkish government, that Yayla is associated with FETO. However, Ahmed has neglected both to substantiate his claims against the Turkish government and to question the narrative provided to him by Ahmet Sait Yayla.